I’m so glad you’re here today! 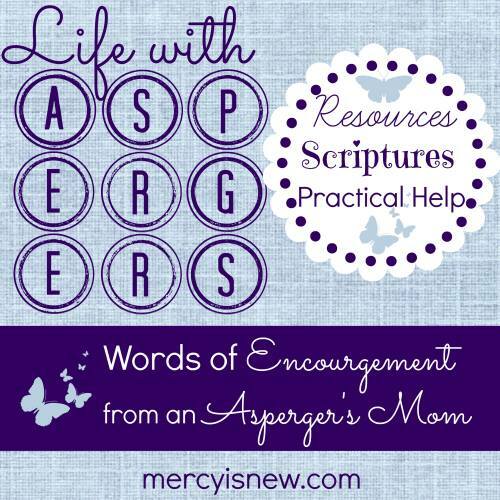 This is probably my favorite post in this series on being an Asperger’s parent. 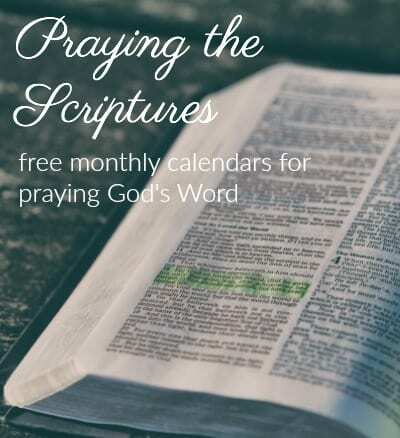 As you probably know, if you’ve read my blog for long, I love praying Scriptures. I love praying Scriptures over my children too. 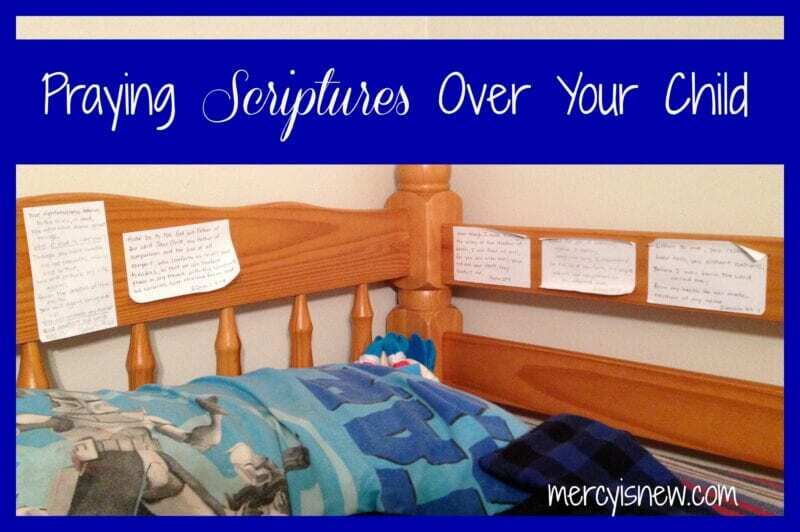 When Valerie told me that she tapes verses around my nephew’s bed, she prays certain verses over him and says them to him, I *knew* I had to have her share those verses with you. 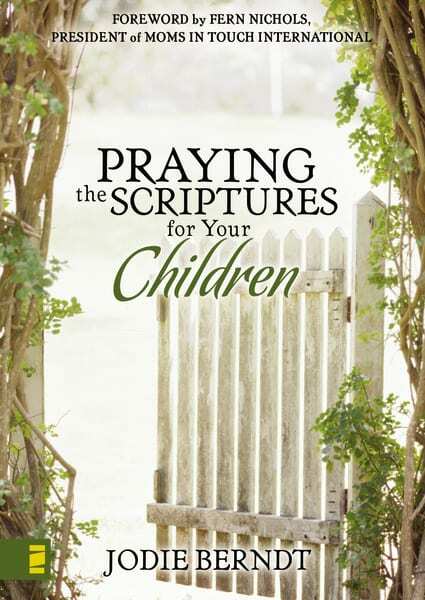 Praying the Scriptures is one of the most powerful things we can do as parents – as believers. Praying the very Words of God help us to know that we praying in alignment with His Will. Isaiah 49:1 – “Before I was born the Lord called me, from my mother’s womb He has spoken my name.” ~ Valerie said that this verse has really comforted and encouraged Colin a lot. She tells him frequently that Asperger’s does not define Him, GOD is the one who defines him and He knew before the creation of the world who and what Colin would be. 2 Timothy 1:7 – “For God has not given us a spirit of fear, but of power and of love and of a sound mind.” ~ When Colin struggles with fear and anxiety, Valerie speaks this truth to him and reminds him that the fear is not from God, but that God has given us power and love and a sound mind. 2 Corinthians 10:5 – “We demolish arguments and every pretension that sets itself up against the knowledge of God, and we take captive every thought to make it obedient to Christ.” ~ this is a verse that we all need help with, I believe, myself included!! Valerie speaks and prays this verse a lot with Colin. 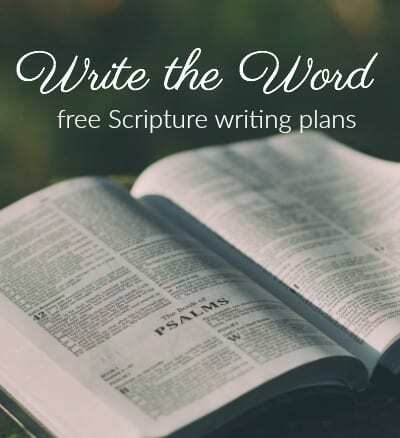 I had planned to list Scripture after Scripture you…but I decided that instead I would love for you to search out scriptures that truly minister or apply to YOUR personal situation and YOUR child. Is there something in particular that your child struggles with? Fear, anxiety, worry, defeat? 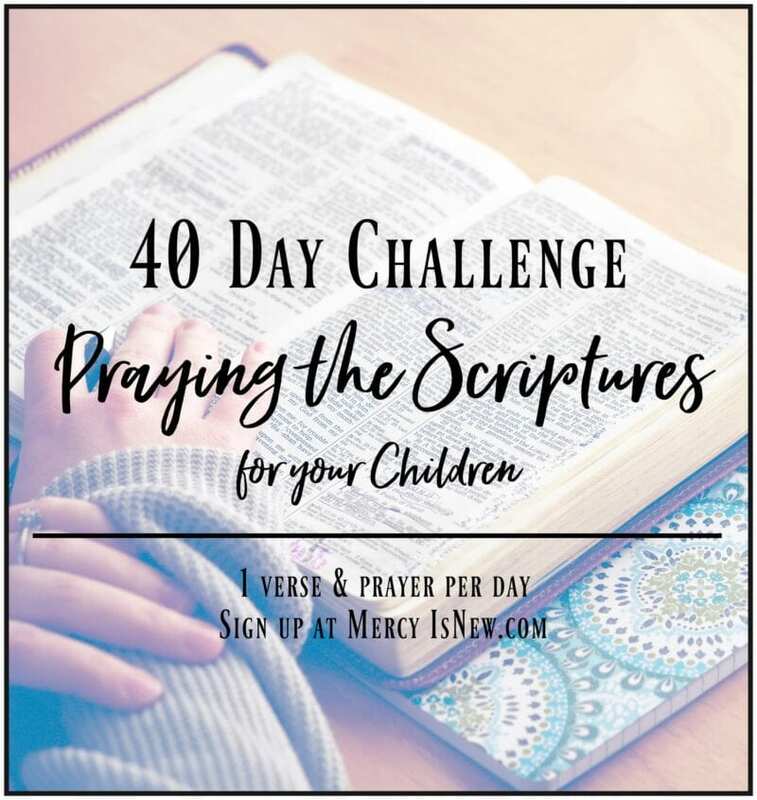 I challenge you to use a concordance this week and find one verse that you can memorize WITH your child and then you can also use to pray for your child. As you pray, never lose hope. God’s word does not return void! **note these links will not work until each post is live! « I am weak…but He is strong!